The Book Connection will be participating in National Blog Posting Month (NaBloPoMo) in December. Every day, all month long, our readers will find new guest articles, new reivews, and special features that surround books from some of our favorite authors. Make sure you bookmark us and check in every day in December. Who knows what other exciting news we'll reveal! Are you looking for a fun and unique way to get your school-aged child interested in reading and geography? Look no further than State of Wilderness, the first book in Elysabeth Eldering's Junior Geography Detective Squad series. When Matt Patterson's mother gets him a new geography video game, he and his friend, Guy decide to try it out. Now, Junior Geography Detectives, the boys click through a series of clues to help them figure out which of the fifty United States this round of the game is referring to. Just to make it interesting, Matt and Guy wager that the person who guesses the right answer first gets to pick something for the loser to do--and it probably won't be nice. And when Mary Beth, Matt's younger sister joins in on the fun, it's a race to see who will uncover which state could be known as the State of Wilderness. This is an impressive start to what I see as being a popular series of books to inspire a love of reading in young people. Eldering speaks their language, makes learning fun, and gives readers a reason to keep turning the pages. Readers will learn a variety of interesting tidbits about one of the fifty states in each book and this book ends with "Stay tuned for some more fun activities on the state," followed by information about the state's flag, a map and quiz, and a cryptogram that reveals the state's motto. During my interview with Eldering, I learned that there is also a Teacher's Guide available that has ideas on how to use State of the Wilderness in the classroom along with activity sheets that can be reproduced. You can find out more by reading the interview here. The Junior Geography Detective Squad is a series you'll certainly want to keep your eye on. I anxiously await the release of the next book. To mark the start of the holiday season, we asked some of our Penguin Group authors to tell us which books they are giving, and which books they'd most like to receive this year. Our inboxes were immediately flooded with emails about books they can't wait to share with their loved ones—books for all ages, new and old, from publishers large and small. Elizabeth Gilbert, Khaled Hosseini, Geraldine Brooks, Nick Hornby, Jan Karon, Michael Pollan, Stuart Woods, Mike Lupica, Jan Brett, W.E.B. Griffin, Nathaniel Philbrick and many other New York Times bestselling, award-winning writers shared their suggestions (and wish lists) with us, and we wanted to share their contributions with you. The resulting messages, heartwarming, humorous and generous of spirit are posted on the Penguin website for your enjoyment. And don’t miss our holiday gift guide! From classics to cookbooks, finding the perfect Penguin will be the easiest shopping experience you'll have this season. 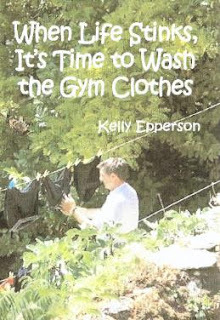 If you are looking for the perfect gift for the Mom on your list, then look no further than When Life Stinks, It's Time to Wash the Gym Clothes by Kelly Epperson. A compilation of Epperson's columns that have appeared in a variety of newspapers, When Life Stinks is an often humorous look at life, aging, motherhood, and world events. From traveling down memory lane to the hazards of parenting, from 9/11 to the death of Princess Diana, and from Live Aid to living in France, When Life Stinks will have you saying, "Yes! Finally there is someone who understands." Epperson talks about the making and breaking of New Year's resolutions and being a "gum junkie". You'll laugh right along with her as she discusses how JcPenney might have discovered that 8 out 10 women are wearing the wrong bra size and the fad of girls wearing sweatpants with words plastered across their behinds. Granted, I may have related more to this book than a younger reader because Epperson and I are close enough in age that I recognized the name of almost every band or musician mentioned, but most of the themes flowing through When Life Stinks are universal and can be appreciated by a diverse group of readers. An excellent debut for Kelly Epperson. I eagerly await her next book. Wishing all our readers a happy, healthy, and safe Thanksgiving weekend! Today, poet Laura Grossman discusses her new poetry collection, The Sighing of the Winter Trees. If I were to be alone I would notice the sighing of the winter trees and the warm glow of the fireplace. Hearts and flowers dancing in the night, leaves dancing in the wind, but honey, where are you! These poems all have in common those moments alone, which is what a lot of poetry is about. Also poems can express romance and comfort--our office worlds becoming one as we stood together in-love behind the chocolate soda fountain at Woolworth's those magical afternoons! Constantly Raining Autumn Leaves--She was in-love and her heart would constantly cry as if it were constantly raining autumn leaves. I also express mystery in life--Dawn, Mysterious Dawn--and the tick- tock of the clock and after dark he came back as mysterious as dawn! My book--The Sighing of the Winter Trees--has many poems that inspire those moments alone and help to heal the reader. The book takes the reader to a new dimension in life where the reader can express his feelings through beautiful poetry. We whispered Dawn--all throughout the night was a terrible storm, it rained and poured the angry winds...beneath the ocean storm and suddenly dawn it was beautiful dawn so momentous and wonderful our hearts whispered dawn! THE SIGHING OF THE WINTER TREES VIRTUAL BOOK TOUR '08 will officially begin on November 3 and end on November 26. You can visit Laura's blog stops at www.virtualbooktours.wordpress.com in November to find out more about her latest book! As a special promotion for all our authors, Pump Up Your Book Promotion is giving away a FREE virtual book tour to a published author or a $50 Amazon gift certificate to those not published who comments on our authors' blog stops. More prizes will be announced as they become available. The winner will be announced by Pump Up Your Book Promotion on November 30! Mary Burton returns today to share with us her profile of Detective Jacob Warwick from her latest release, Dead Ringer. Richmond detectives Zack Kier and Jacob Warwick find themselves investigating a killing spree by a strangler who manages to leave no physical evidence. All they find with the bodies are simple charms, each bearing a different woman’s name and an uncanny resemblance to local television anchor Kendall Shaw. On the hunt for a story, Kendall manages to dog their every step as they struggle to find pieces to the deadly puzzle. She’s determined to keep investigating the murders and not just because she’s been stuck behind the anchor desk too long. It’s because, eerily, clue after clue strikes a chord with her. She’s certain that something in her past holds the key to stopping the killing--and Jacob agrees. The more the two dig into the victims’ backgrounds, the more terrifying the discoveries, and the more certain they both are that Kendall is the ultimate prize. Richmond Detective Jacob Warwick was great fun to write. He is my modern day warrior who stands over six feet two inches, has broad shoulders and has military short hair. At first glance he comes off as a hard, unfeeling guy, but as they say, “Still waters run deep.” Jacob was raised by a single mom who was an alcoholic and drug addict. She had little time for Jacob and as a consequence he started getting into a lot of trouble. When he was twelve he egged a local boxing gym and to his surprise the owner chased him down and made him clean up the mess. The old guy, Pete, took a liking to the headstrong Jacob and when he realized the boy was in a bad home, took the twelve year old in as his foster son. Pete was a great father to Jacob and introduced him to the world of boxing. Jacob took to boxing and even became Golden Gloves. He served time as an Army Ranger. He joined the police force after the army and earned his college degree at night. He quickly established himself as a tenacious, driven man who was willing to put in long hours. He has little patience for excuses and if he has any biases it’s a deep distrust of people with substance abuse problems. This mind set proved to be a problem when he was paired with homicide detective Zack Kier, a talented cop who is also a recovering alcoholic. It’s taken over a year for Zack to win Jacob’s trust but the two have forged a solid friendship. However under Jacob’s steel façade is a different man. That man deeply mourns the loss of his foster father. He fears failure or letting those around him down. And that man harbors deep feelings for news anchorwoman Kendall Shaw, a striking elegant woman who frustrates him at every turn and invades his dreams at night. Why did they kill? What demons drove them? How did they choose their victims? Burton’s questions led to inspiration and the USA Today best selling author began developing the characters whose horrific assaults would drive the plots of her romantic suspense novels I’M WATCHING YOU and DEAD RINGER. Her commitment to realism in her writing has led to eye-opening interviews with local law enforcement, forensic seminars and the firing range. She is a graduate from the Henrico County Citizens Police Academy and attended Sisters in Crime’s three day Forensic University program. A Virginia native whose family’s Richmond roots run as deep as the nation’s, Burton graduated from Virginia’s Hollins University and began a career in marketing. After a decade she decided to do something about the myriad stories buzzing around her brain, which seemed to dare her to try to write them down. She took up the gauntlet, left her job and began her first novel. That very first manuscript, a historical romance, was published in 2000. After selling her first novel, Burton wrote eleven more books for Harlequin and four contemporary romantic suspense novels for Silhouette before entering the dark world of multiple murderers and their motives. Once there, she wrote her romantic suspense novels I’M WATCHING YOU and this November’s DEAD RINGER, both published by Zebra Books. Her novella Christmas Past appears in the 2008 holiday anthology SILVER BELLS along with stories by New York Times best selling authors Fern Michaels and Joann Ross, and award-winning novelist Judy Duarte. Previously her story Snow Maiden was featured in the USA Today best selling anthology A Hero’s Kiss. Born and raised in Richmond, Mary Burton is an avid cook as well as baker, and even volunteered as a kitchen assistant at a local culinary school to hone her skills. When not writing and researching she can be found hiking, doing yoga and playing with her miniature dachshund puppies, Buddy and Bella. Currently, she is working on her next novel. 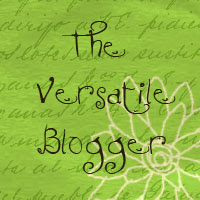 You can visit her website at http://www.maryburton.com/. The DEAD RINGER VIRTUAL BOOK TOUR '08 will officially begin on November 3 and end on November 26. You can visit Mary's blog stops at http://virtualbooktours.wordpress.com/ in November to find out more about her latest book! An engrossing, fast-paced adventure novel that explores past lives and their connections to the present is what you'll find in Bearkiller by D.J. Stephens. Jeff Barkil--who I first met in HALO--is hunting in the mountains of Montana when he is attacked by a grizzly bear. Severely wounded, Jeff uses his survival instincts gained from years of military training to attempt making it back to camp. Awakening in a teepee, Jeff is not quite sure what happened or who he is. 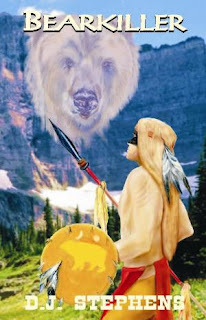 Gray Buffalo, chief of the Blackfoot Nation, accepts Jeff into the tribe and christens him Bearkiller for his bravery in mortally wounding the great grizzly. Bearkiller becomes a brave Blackfoot warrior, adored by the people of his village and despised and feared by the Crow, the Shoshone, and other enemy tribes who seek to kill him and regain the honor he has stolen from them along with their horses and weapons. Will Jeff ever make it back to his own time? And if he does, will he remember Bearkiller and all his coups or will he think them only the dreams of a delirious mind? Stephens shows his strength in creating adventure stories that draw the reader in with Bearkiller, his first novel. Similiar in some ways to his novel, Death Rider, the reader explores Jeff's past life as a Blackfoot warrior. This helps to give insight into Jeff's actions and instincts in HALO--which is a big bonus. Non-stop action fill the pages of Bearkiller, making it a book that you will never want to put down until you have read the last word. Stephens's research of Indian customs is evident throughout and his descriptions allow the reader to experience everything right alongside Bearkiller/Jeff. In addition, Gray Buffalo, Smiling Otter, Sweet Water, and Morning Star become memorable, real characters whose lives captivate the reader. Fans of western adventure stories and those interested in exploring past lives and Indian customs will find much to enjoy in Bearkiller. Enter for your chance to win one of two copies of the first book in Ben Furman's Sam's Quest series, Sam's Quest for the Crimson Crystal--which we reviewed here. If you blog about this contest, leave a comment here, telling us where you are blogging about it for an additional entry! Contest ends on December 1st. The winner will be announced at this blog on December 2nd. And don't forget the two other book giveaways that end on November 30th. Win a copy of Mishka: An Adoption Tale by entering here and enter the giveaway for Relationship Magic here. All contests are open to residents of the United States and Canada. 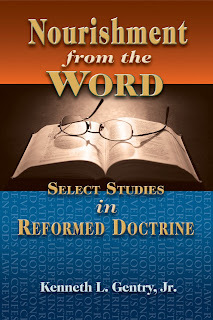 Today's guest blogger is Dr. Kenneth Gentry Jr, author of Nourishment from the Word: Select Studies in Reformed Doctrine. I asked Dr. Gentry to discuss my favorite book of the Bible, Revelation. The Book of Revelation is one of the most mysterious and intriguing books in the Bible. Most Christians express a great interest in this work, from the newest convert to the oldest saint. Unfortunately, Revelation is difficult to master and easy to abuse. The main reason for these problems is: The interested reader doesn't pause and read the sign on its front door before barging in and running through it. The very key to Revelation is found in its opening verses. And without this key, the book remains subject to distortion. Rev. 1:1: "The Revelation of Jesus Christ, which God gave Him to show to His bond-servants, the things which must shortly take place; and He sent and communicated it by His angel to His bond-servant John." Rev. 1:3: "Blessed is he who reads and those who hear the words of the prophecy, and heed the things which are written in it; for the time is near." John himself tells us that he expects the events of Revelation to occur "shortly" because "the time is near." Consequently, when we try to interpret the events as occurring in our future some 1900 years after he wrote it, we are going against his stated purpose. If Christians would only take seriously these opening verses, they might find that John wrote Revelation to help a persecuted church in the first century — so that we today might have the joy of hearing the gospel, despite the early challenges the church endured from persecuting Israel and Rome. In my book Nourishment From the Word, one of the chapters provides an introduction and overview of this grand prophecy of John’s. I explain how John is actually writing about the coming end of the old covenant order, as the new covenant replaces it. That is, John is writing about the coming destruction of the Jewish temple in A.D. 70. And he does so by presenting it as a forensic (legal) drama, with God on the throne governing the events. In my introduction to Revelation I site many references from Josephus, the first century Jewish historian, who witnessed the destruction of Jerusalem and lived to write about it. I show how many correspondences exist between John’s symbolic Revelation and Josephus’ historical Jewish Wars. The correspondences are fascinating — and quite compelling as evidence that John wrote Revelation about those very events that Josephus witnessed. 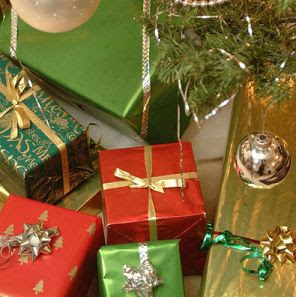 Visit Bookreporter.com for gift ideas, book reviews, a list of new releases, and chances to win free books! See below for just some of the great things going on at Bookreporter.com. There's one gift that's perfect for everyone on your holiday list --- a book! Yes, everyone has people who are readers on their lists, which makes shopping for them easy. But beyond these kindred spirits, there's a book that can match just about any recipient's interests, even if reading is not their true passion. That is why Bookreporter.com is sharing 45 reasons why a book makes a perfect gift, counting down until Christmas Day, December 25th. Check out the countdown and see why we think this is the gift you want to give --- and, oh yes, receive! 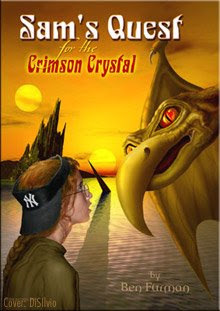 The feature is also running on ReadingGroupGuides.com, FaithfulReader.com, Teenreads.com and Kidsreads.com. Bookreporter.com's popular annual contest spotlights a different title or collection of titles every week from November 7th to December 12th. Readers can enter to win a basket that includes two copies of the book (one to keep and one to give), wrapping paper and a bow, and holiday-themed items such as Ghirardelli hot chocolate mix, gourmet vanilla marshmallows, Chewy Peps candy, an Illuminations cinnamon spice-scented candle, and more. More than 25 authors share their favorite memories of giving or receiving a book at the holidays, including Mary Higgins Clark, Carol Higgins Clark, Kristin Hannah, Garth Stein, M.J. Rose, Adriana Trigiani, Mary Kay Andrews, and more. Gift giving is made easy with “reader perfect” suggestions in categories like Eat, Drink & Be Merry (cookbooks and culinary tales), Faces & Places (history, biography and memoir), and Healthy, Wealthy & Wise (advice and how-to). Today's guest blogger is Dave Donelson, author of Heart of Diamonds. Dave will be providing us with an article on the inspiration behind some of his characters. 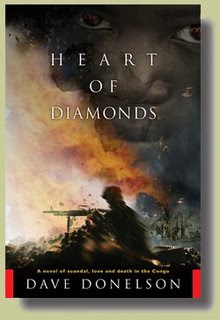 Heart of Diamonds is my high-concept romantic thriller about blood diamonds in the Congo. The plot concerns the White House, the President of the Democratic Republic of Congo, and an American televangelist in a diamond smuggling scheme that is uncovered by an enterprising TV reporter, Valerie Grey. One of the most interesting characters in Heart of Diamonds is Gary Peterson, the American televangelist who owns the diamond mine. He’s a fabulously successful man of God, a close pal of the President of the United States, and utterly devoted to making a quick buck or two if the opportunity presents itself. He also has a right hand man, missionary Thomas Alben, who runs the diamond mine for him and does most of the dirty work in the operation. Both of these characters are fictional, of course, but they had their genesis in the real world. The whole concept for Heart of Diamonds sprang from an article I read in Time Magazine about the cozy relationship between Pat Robertson, the famous American televangelist, and Mobutu Sese-Seko, the dictator who raped the Congo for thirty years. When I found out Robertson owned diamond mines and timber concessions in the Congo—making profits from slave labor, no less—I simply had to write a book about it. Robertson had many business interests in the Congo—and it just wasn’t possible to operate there at the time without the direct approval of Mobutu. It was also well-known that you didn’t get that approval for free. Apparently, Robertson and Mobutu got along famously. The Time article reported that one time, Robertson and his wife and their entourage were flown from Paris to Kinshasa on one of Mobutu's personal Boeing 707s. In Zaire, Mobutu himself took them on the presidential yacht on a ride up the Congo River to visit one of his estates. The more I learned about these guys and the things they were doing in the Congo in the name of Jesus Christ, the more intrigued I became. Heart of Diamonds isn’t their story—the smuggling scheme, the connection to the White House, the U.S. military involvement, and many other elements are completely fictional. The characters are figments of my imagination, too, although they certainly have personality traits similar to some real individuals. Heart of Diamonds implicates an American televangelist, the President of the Congo, and the American White House in a diamond smuggling scheme that leads to U.S. military involvement in the Congo’s civil war. TV journalist Valerie Grey uncovers the conspiracy and tries to expose it before America is drawn fully into the endless war. Powerful forces—a ruthless mercenary, the Congolese army, and cold-blooded agents sent by the White House—try to stop her in a magnificent chase along crocodile-infested rivers, overland through raging gun battles, and into the sky in armed helicopters. Dave Donelson’s career as a broadcaster, entrepreneur, and writer has taken him from the jungles of Australia’s Cape York Peninsula to the minarets of Riyadh. He’s climbed the spire of the Empire State Building, floated the Usumacinta River to the Mayan ruins at Piedras Negras in Guatemala, and photographed the tree-climbing lions and mountain gorillas of Uganda. Dave’s inquisitive, active lifestyle finds its way into freelance writing and photographic assignments for magazines like Disney’s FamilyFun, Woodworker’s Journal, and Las Vegas Magazine. Closer to home, he writes features for Westchester Magazine as well as a regular column on golf. He is a member of the prestigious Metropolitan Golf Writers Association. Dave’s first book was Creative Selling (Entrepreneur Press, 2000), a non-fiction prescriptive described by Brian Tracy as “…a terrific book on selling.” As a business journalist, he writes for The Christian Science Monitor, Family Business Magazine, and dozens of trade publications serving industries from the automotive aftermarket to sporting goods retailing. Dave has a BA in Rhetoric and Public Address from Missouri Western State University. He serves as a Trustee for the Westchester Library System, a consortium of 38 public libraries serving Westchester County, NY. He lives in West Harrison, NY, with his wife, Nora, and an ever-changing roster of dogs and cats. Visit www.davedonelson.com for a selection of Dave’s work. The HEART OF DIAMONDS VIRTUAL BOOK TOUR '08 will officially begin on November 3 and end on November 26. You can visit Dave's blog stops at http://virtualbooktours.wordpress.com in November to find out more about his latest book! As a special promotion for all our authors, Pump Up Your Book Promotion is giving away a FREE virtual book tour to a published author or a $50 Amazon gift certificate to those not published who comments on our authors' blog stops. More prizes will be announced as they become available. The winner will be announced on our main blog at www.pumpupyourbookpromotion.wordpress.com on November 30! Today's guest blogger is Richard Roach, author of Scattered Leaves. About the Book: When Ben McCord comes home from a business trip to find his young wife raped and murdered, he starts out on a journey of death and destruction. Clues lead him to a dark world of drugs and violence in action that spans Texas, Colorado, and the Mexican border. McCord hooks up with a beautiful doctor, who was also victimized by members of the same drug cartel, and together they track down the killers, surviving bloody confrontations, and ending with a suspenseful climax in the Big Thicket of Texas. About the Author: Suspense/Mystery author Richard Roach was born in 1931 in Galveston, Texas. Short stories of his have been published in Man’s Story 2, Happy 2007, Vol. 20 and Bibliophilos 2006, Vol. 42. His first novel, Scattered Leaves, hit the book stores on September 1, ’08, and his second novel, Scattered Money, will be published in 2009. You can visit his website at www.richarderoach.com. In my younger days my family and I did a lot of camping out. Naturally, we looked for exotic spots. Being in the U. S. Air Force for four years and working in the oil industry for thirty-one years added miles and miles of travel in all sorts of places, more than I care to remember. A few of them: Lake Calcasieu, Lake Maurepas, Vermilion Bay, offshore in the Gulf of Mexico out of Grand Isle, Louisiana, off shore out of Sabine Pass, Texas, and finally, The Atlantic Ocean out of Mateo, North Carolina. Land locations in the oil field rarely lasted more than a few weeks. On exploratory wells (sometimes called wildcat wells--holes in the ground that are not in a field), unless the drill site comes in as a producer, you're here today and gone tomorrow. The idea of commercializing pot and selling it packaged was my own idea. I don't know why it hasn't been done. It would be so easy, IF! you had a few trusted workers to run the machinery. When I was in high school in Houston, some wet-heads were growing marijuana on the banks of Buffalo Bayou--within the city limits--and the site could have been seen from city hall if the trees had been removed. The pot plants were discovered when one ungodly shot another. I have old friends in the Houston Police Department and in the Dallas Police Department and they didn't let me get too far off track. They also furnished some of the statistics, prices, and names the miscreants use. Too bad Jack Webb isn't still alive! (Dragnet) He could really rattle off facts and figures. Example: When you're in a head-on collision, your shoes are left on the floorboard! I wish to thank all the readers of this site. I love you! Believe it or not: reading helps expand your mind and you will make more money, but you must save and invest. Trust me...you can make good money on these bridges I have to sell. Quick Note: I don't always have a connection to any of the places that our guest bloggers write about, but I've been to the Outer Banks of North Carolina many times and we visit Manteo, NC whenever we're there. They have a wonderful Christmas shop on Route 64 in Manteo that is a must see if you visit. The SCATTERED LEAVES VIRTUAL BOOK TOUR '08 will officially begin on November 3 and end on November 26. You can visit Richard's blog stops at www.virtualbooktours.wordpress.com in November to find out more about his latest book! As a special promotion for all our authors, Pump Up Your Book Promotion is giving away a FREE virtual book tour to a published author or a $50 Amazon gift certificate to those not published who comments on our authors' blog stops. More prizes will be announced as they become available. Pump Up Your Book Promotion will be announce the winner on November 30! Dr. Barbara Becker Holstein returns to The Book Connection today as our guest blogger. I'm sure you'll enjoy what she has to say. * The Truth helps move girls, tweens, teens and their moms closer to honest communicating. Every page brings to light feelings and thoughts so universal in nature that almost any page can be used to stimulate mother and daughter via discussion, moving toward a more honest and open place with each other. For example, the universal issue of a first crush. The girl says on page 81, "I'm heartsick because I don't think Paul loves me. I send him signals all day long. I look at him as much as possible....But I have to admit I'm getting discouraged." This entry can be used in so many ways to better communicate. Mom could share her own memories of a first crush. Her daughter could share her feelings about crushes. The topic could then turn to questions and thoughts around developing physically, emotionally and sexually. The door can be left open for more sharing around this topic. And of course, the sense of shared girlhood combined with the generational sharing of being female can help to bond mom and daughter for years to come. * The Truth gives a platform for kids to work through negative feelings about conflict and gives parents a new way of seeing conflict from the vantage point of how it affects their kids. For example, on page 22, the girl writes in her diary, "I could teach my mom and dad so much, if only they would listen....They waste so much time fighting, and before you know it, everyone's mood is sad or angry and the day is ruined." Now this is a great opener for discussion between mom and her daughter around conflict in the family. Very often moms forget, and dads also, how much a kid feels upset by squabbles in the home. Sharing when we feel upset at home and when we feel good at home, can help to make more meaningful real efforts to upgrade our behaviors by all the members of the family. 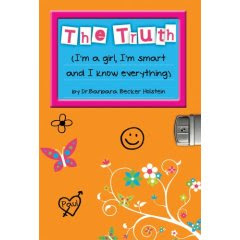 * The Truth helps girls see that they are not alone, by being able to so easily identify with the 'girl' who is sharing her most personal feelings and thoughts with them directly, via diary form. If Mom also reads The Truth and shares more of her thoughts and feelings while also listening to her daughter's 'real' voice, then as mom and daughter move through the girl, tween and teen stages together, the daughter will feel understood and will be at less risk for feeling alone. This is a critical issue in development, as it is very important for kids to feel connected and understood by family members, even as they move away from the family in so many ways as they grow. For example, a girl who feels understood by her mom, will come and talk to her if she is being bullied by another kid. This is important, as in today's world a girl living alone with her hurts and pain and fear around being bullied can be putting herself at risk. Bullying can be dangerous psychologically and physically and needs the input and help of a mother. I hope you have enjoyed seeing how The Truth (I'm a girl, I'm smart and I know everything) can be used to encourage a better relationship between mom and daughter, augment positive family life and help in problem solving serious social issues. THE TRUTH VIRTUAL BOOK TOUR NOV '08 will officially begin on November 3 and end on November 26. You can visit Dr. Barbara's blog stops at www.virtualbooktours.wordpress.com in November to find out more about their latest book! As a special promotion for all our authors, Pump Up Your Book Promotion is giving away a FREE virtual book tour to a published author or a $50 Amazon gift certificate to those not published who comments on our authors' blog stops. More prizes will be announced as they become available. The winner will be announced on November 30 at http://pumpupyourbookpromotion.wordpress.com/! Today’s special guest is Elysabeth Eldering. Elysabeth is an award-winning writer and author of the Junior Geography Detective Squad, where readers are asked to solve mysteries in order to figure out which of the 50 states in America the book is about. Elysabeth and I took a moment to catch up on this new series and what it’s all about. Welcome to The Book Connection, Elysabeth. It’s great to have you here. Let’s get started by having you tell our readers a bit about yourself. When did you begin writing? What genres do you concentrate on? Thanks for having me here, Cheryl. You start out with the hard questions. Well, yes, why make this easy? LOL! I started writing about five years ago, just shortly after my 40th birthday. Call it a midlife crisis or whatever. I had been on a forum and all these people were talking about their stories they wrote and were posting and wanting people to vote for them. Someone challenged me to do a story and post it. I have to admit, looking back at those first stories, my writing was terrible. After I got my footing and learned a bit, I started entering contests - short stories mostly. None had monetary prizes but just the thrill of being challenged by friends and competing for the prizes offered was exciting. I still write short stories but the concentration is on my middle grade children's series. Do you write every day or in spurts? Is there a certain time of day that works better for you? I tend to write in spurts. Most of my writing occurs late at night after work and when I am bored. Sometimes I don't want to write but with this new contract, I have to write. I have to get ahead so that the publisher will have stories ready for her schedule to be published. What was the hardest thing about submitting that first story? The hardest thing was waiting for the results. Thinking maybe I had made a mistake but when the announcements came, it was worth it because I had been given a shared second place (second and third place winners received the same prize - the same book so I don't consider myself a third place winner) win. Can you tell us about some of the awards you’ve won? So far the two contests I've placed in have both been a shared second place, both were on Armchair Interviews. I have just had the first book published and as soon as I have enough copies to send out, it will be sent to the Caldecott Committee, the Newberry Committee and the Sibert Medal award. I'm sure there are others out there but for now, these will be the ones submitted to. Let’s talk about this new series because it sounds so fascinating. Where did you get the idea for the Junior Geography Detective Squad? The idea came from the story I submitted to the fan contest for Armchair Interviews when Silence of the Loons came out. The contest was based on the same guidelines the authors of the anthology used - write a mystery using at least four of the listed eight words (a headless Barbie, a wig, a tattoo, a page from the dictionary, footprints in the snow, the sound of a train whistle, the scent of Obsession and a soiled ballet slipper). I was on a mother-daughter trip to Stone Mountain, Georgia, and was telling the other mothers on the bus about the contest and one of the girls piped up, after hearing the list, and said, "I know, you can make it like a scavenger hunt on a train, like a birthday party or something that the kids have to find all the items." I thought about it and because the contest didn't say it had to be a murder mystery, just had to be a mystery, I went in that direction, a scavenger hunt on a train to a mystery destination and the items were two-fold - clues to the next item and a clue to the mystery destination. After I was notified of placing second runner up, I contacted an editor from the SCBWI and asked her how much she would charge not to edit the story but to give me a direction to make it into a series. The best $50 I've spent on my writing so far. How many books have been released? At this point, State of Wilderness is the first in the series. The second, State of Quarries, will be released either late December or early January. The next three states are being written this month. I also have teacher's guides available for schools and homeschoolers (details on my blog - http://jgdsseries.blogspot.com). Tell us about the four main characters from this book. How did they all meet and why do they embark upon these journeys? Matt is the game owner. Mary Beth is his younger sister and is always hanging around her brother and his friends. Guy is Matt's best friend; they've been best buds since kindergarten. And Jolene, well she's the girl they both like but is a bit on the snobby side. She wants to keep them as friends and not cause friction. She has set goals in her life. The game will be played by two, three or all four of the kids at any given time, but never by one (as that would be boring). I'm attempting to make them stand alones so that if you picked Book 15 in the series you won't be lost. There will be some repeat info in each of the books, like when the game is first turned on it blares out "We Are The Champions" and then of course the original greeting message and every time a bonus clue comes up, there is information that is needed to know that the bonus clues need to be kept track of and that these clues relate to one of five US territories. This makes the stories a bit interactive in that hopefully the readers will want more bonus clues and will try to figure out which territory is being described. There will be a bonus section at the end of the series telling readers all the bonus clues for each territory, which book they appeared in and giving the answers. Have you been into the schools with any of these books? What type of feedback have you received? I'm in a virtual classroom at the moment. The teacher received the PDF file and his mother read to the class in groups so they weren't all getting the story at the same time. They are anxiously awaiting Book 2 to make its entrance. They especially liked the bonus clue and want more territory information. I haven't had any "live" school visits yet but I'm sure by about the second full year of the books coming out (9 or 10 should be released by then) that I will be making more and more school visits. I'm still trying to come up with my presentations for school visits but by then I should have something to go with. Tell us a bit about your illustrator Aidana WillowRaven. How did she get involved in this project? I met Aidana in a forum. She had her portfolio posted and I checked it out. I was impressed and emailed her offline about one picture in particular I really was fascinated with. We started chatting and then she talked about becoming my agent and I figured I'd give her a chance because she was new and see what comes of it. I told her about my series. She got me a contract with another publishing company (cannot mention them due to some bad blood) and took on the role of illustrating the series. I told her I didn't really want full color illustrations but that black and white would be fine. She came up with the line renderings and designed the game console that was to be my "game". Before she even got to illustrate for the first publisher, she got put on hold. I started asking questions and that's when Vivian from 4RV Publishing picked me up. Aidana went ahead with her illustrations and did the layout design for the book as well. I was very pleased with how it turned out. Each book will be similar on the inside - the illustrations depicting the clue on the game console's screen and the clue and interaction on the other side. It makes for a really quick read really. I've seen some of Aidana's other work and it's wonderful. I'm glad the two of you hooked up. The cover art for both your books is outstanding. 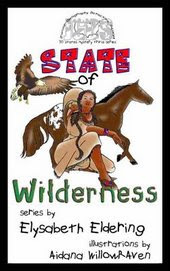 Where can readers purchase a copy of State of Wilderness? Copies may be purchased from 4RV Publishing (www.4rvpublishingllc.com), Amazon.com and Barnesandnoble.com, or for special orders (schools and homeschoolers) by contacting Vivian at president@4rvpublishingllc.com. The teacher's guides are only available through special orders from Vivian. What types of extras do you have for readers of the Junior Geography Detective Squad? In the teacher's guide, I have six research projects/discussion questions, a puzzle (cryptogram, word search, word jumble, or some other puzzle will be featured), a science experiment, and an end-of-book quiz. The first book has the map quiz and flag info and the cryptogram puzzle included in the book but it was decided that these needed to be extras available for teachers and homeschoolers to reproduce for classroom study so that the books could be used as supplements to teach US History in social studies. The teacher's guides allow the teachers to be a little bit more cross curricula with the information there, incorporating writing and ELA (research and discussion questions), science and fun (not sure where to put the puzzles in the curricula). Would you like to share more about the future of this series and your plans for it? My hope for the series would be to have as many schools interested as possible. I'm hoping by the third year of the series to be able to retire from my full-time job (maybe continue working part-time) and devote my time to traveling around to schools and visit each state. No plans to visit them all in the same year though. I can't think of anything else other than enjoy the books and have fun. I know I will, since I'm going to have a chance to review State of Wilderness soon. Thanks for joining us today, Elysabeth. Good luck with the Junior Geography Detective Squad. We hope you’ll come back and share more news on these intriguing books soon. Thanks for having me. I really enjoyed myself. I didn't realize I had so much to say about the series. Today we welcome Tony Napoli to The Book Connection. 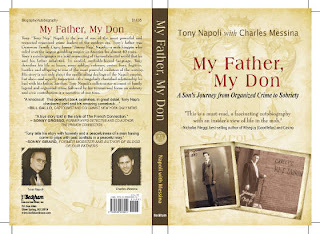 Tony is the author of My Father, My Don, a real life story of Tony’s life as the son of one of the most powerful and respected organized crime leaders of the modern era. Thank you for joining us today, Tony. It’s great to have you with us. Can you tell us a little bit about where you grew up and what kinds of things you enjoyed doing as a kid? I grew up in the Williamsburg section of Brooklyn, NY. Where I enjoyed playing in sports like baseball, football and basketball. I also trained as an amateur boxer until I was 20-years-old. Your father was James “Jimmy Nap” Napoli, yes? Now, did you know growing up that your father was involved in illegal activity? When did you first realize that maybe your family was not the typical American family? I first realized that my family was not the typical American family at my 18th birthday party. My father had some of his close friends over to the house to celebrate with him, my mother and me. I saw the way they were dressed and overheard their conversations relating to the newspaper article they were reading. They all wore pinky rings that glowed multi-colors and suits that didn't wrinkle, with silk socks that covered their calves. No one used curse words to express themselves, that was a no-no in my household. And if we did, we were corrected immediately on the spot, by my father. He would say, "Do you have a limit to your vocabulary?" Completely opposite from the Soprano TV show. We were real people and treated with respect, from the Mob and others.....See chapter 24 in my book. You were very close to your father, weren’t you? How did his connections to organized crime impact your relationship with him? After your father’s death in 1992, did you feel differently about him or about your relationship? About a year and a half after my father's death on December 29, 1992, I started to feel differently about him and my relationship with him. It's when I found Sobriety, which is stronger than any OMERTA, I found a better way in life. If my father was alive today, I don't think I would have ever found Sobriety. He was everything, the mountain, the moon, the stars and he gave me the strength, I needed while he lived. No, I never would have found a stronger strength like Sobriety. Did you spend time in prison as a result of your connections to organized crime? The only time I spent in prison for my organized crime connections was only a matter of overnight stays, such as: questioning for consorting, gambling and refusal to answer questions relating to my father's activities. Overnight stays are considered a few months, a few weeks or anything less than a year. However, when I did over 3 years for one of my crimes, it was in defense of my immediate family. What is it that led you on the path to redemption? My path to redemption started on July 11, 1994 when I woke up in the VA Hospital after 10 days and nights in an alcoholic COMA and saw my wonderful family by my bedside crying and praying for my recovery. I thought now's the time for making amends for all those I have harmed. Why did you decide to write My Father, My Don? I actually started writing my story when I was 25 years old, and was stopped by my father, who destroyed all my notes. Then in 2003 when I was 68 years old I continued writing. That's when I hired three different writers to help co-write my book. I paid two of them a fee and kept one to help me complete the book. His picture is on the back cover of my book with mine. In 1961 the title was Pipeline New Jersey. In 2003 I changed it to My Father, My Don. I was told not to write my story by others, but I answered, "How can I not." I had to tell the world how I found Sobriety, after coming out alive from the life I lived in organized crime. To let Veterans, recovering alcoholics and indigent fighters, know that there is help out there from people like me who volunteer and charge no fee. For others who read my book, to make them aware of the programs that are available, and how people like me can change for the better. See chapter 2 in my book. Was it difficult reliving parts of your past? While I was writing and answering questions asked of me by my co-writers, I found it very difficult reliving parts of my past, especially the drinking years. The harm I did to others and the consequences paid, sometimes in jail, sometimes making apologies. What good that came out of it was the memories of my wonderful mother, who kept the family together....See third unmarked page in the beginning of my book, it shows a picture and text of Mother. How did you meet screenwriter and director Charles Messina? I met screenwriter and director Charles Messina, through a mutual friend who's in the film business. I was very impressed with Charles, but was told by the same mutual friend not to use Charles as the co-writer for my book. I make my own decisions when it comes to spending my money. Charles was an unknown, but look at him today. He is very dedicated to the story, and showed me a lot of compassion, mixed with emotions that you feel in his writing. I wish him only success and all that goes with it. What did Charles bring to this project that you couldn’t have accomplished on your own? Charles brought words to this project that I couldn't have accomplished on my own, "the framing of a father/son relationship, that had a bond stronger than any OMERTA, an oath taken by organized crime members. He found in his inner-self, how to put true feelings into words. He showed the reader a new dimension in writing a non-fiction story without creativity, just stay with the facts. And, brought passion when needed, combined with rhythm in his writing." Where can readers purchase a copy of My Father, My Don? What is up next for me will be to write a second volume of My Father, My Don, a screenplay with its sequel and a prequel for My Father, My Don. I would like to add that I will continue to help veterans with their service-connected injuries in the appeal process, recovering alcoholics to find a good program to control their addiction and help support indigent fighters find a way to meet their needs. Doing this helps me to stay in Sobriety. Thank you for spending time with us today, Tony. Good luck with your book! Filled with helpful advice and inspiration, Grit for the Oyster 250 Pearls of Wisdom for Aspiring Writers by Suzanne Woods Fisher, Debora M. Coty, Faith Tibbetts McDonald, and Joanna Bloss is a must read for all aspiring writers. Broken down into four sections, not a single page in this book is wasted. Readers can expect to find motivational quotes from successful writers, Biblical Scriptures, anecdotes from the authors, prayers tied into each pearl of wisdom, and questions to reflect upon. More than just a book that will help you move your writing career forward, Grit for the Oyster will change not only how you pursue your writing career, but also your perception of that career. A powerful motivator that will increase your self-confidence and draw you closer to the One who has called you to write, this book should stay close by your computer and lift you up when you need it most. Grit for the Oyster will help the aspiring writer to get started, to find her voice, to handle interruptions, to deal with rejections, fear of failure, moments when she feels like giving up, and so much more. An excellent daily devotional for every writer who seeks to glorify God with the written word. Author: Suzanne Woods Fisher et al. Joanna Bloss, one of the co-authors of Grit for the Oyster 250 Pearls of Wisdom for Aspiring Authors--which I will be reviewing soon--provided today's guest article about drawing near to God through our writing. Whether or not I'm writing for publication, I've found writing to be an intensely personal process that allows me to work through feelings, analyze experiences and pour out my heart to God. Writing out prayers keeps me focused and brings clarity to my thoughts and feelings. I've kept prayer journals on and off for the past twenty years. Recently I dug those journals out and found an amazing chronicle of my spiritual journey. It's enormously helpful to see how I've grown and how faithful God has been through the hills and valleys of my life. I feel the same when I look back over the things I've had published. I've grown a lot since those early days of publication, the writing is better now, but throughout my writing is that common thread of God's faithfulness and provision that definitely draws me closer to him. There are parallels in my writing journey and my spiritual journey--though the two are intertwined, my writing life has become a metaphor for my spiritual life. I want to write, but first I come to you. and find that first, I must tap into the essence of me. The essence of me hides in physical needs. It gets layered in distractions. Sometimes, I cover it on purpose because I can't stand how weak, how ugly how distorted it is. Something in me despises that weakness. Something in me wants to cry out, "Ugly!" and place that ugliness on a billboard so passersby can join in the jeer. Something in me wants to cloak the ugliness in status quo. And go about life with the ugliness, the lack, the weakness as the mobilizing force. That is when I get in so much trouble. I bluster about, clamoring: I am strong. I am beautiful. I am worthy. You can get through a day doing that! A trend, a culture can be mobilized when enough folks cry out: I am strong. I am beautiful--white strips have topped off my beauty. I am worthy--I wear designer jeans. But for me, it works better to come before God--the essence of me meeting the Essence of Life--in quiet--and say, "Please fix me." And sometimes, He gives me something to write. The GRIT FOR THE OYSTER VIRTUAL BOOK TOUR '08 will officially begin on November 3 and end on November 26. You can visit the authors' blog stops at www.virtualbooktours.wordpress.com in November to find out more about their latest book! As a special promotion for all our authors, Pump Up Your Book Promotion is giving away a FREE virtual book tour to a published author or a $50 Amazon gift certificate to those not published who comments on our authors' blog stops. More prizes will be announced as they become available. The winner will be announced on November 30! Welcome to Day 2 of hosting contributors to the Leaps of Faith anthology. Today our guest is Susanne Marie Knight. Susanne is the author of 21 novels and one anthology. Her book, The Coming, won the 2004 Dream Realm Award for best speculative fiction. She also is a six-time EPPIE finalist and writes in such diverse genres as science fiction, Regency, paranormal, mystery, suspense, time-travel, and contemporaries. Among her science fiction romance novels are award-winner Janus Is A Two-Headed God, the sequel Janus Is A Two-Faced Moon, (Earthling Press/Awe-Struck eBooks, Inc.) and best-seller Alien Heat (Wings ePress, Inc.) You can find out more about her works at www.susanneknight.com. What is the title of your story and what is the inspiration behind it? My story is called The Convert. The idea for The Convert started with the phrase "Bless me, Father, for I have sinned." If this was to be the beginning of my story, I then wondered why the speaker needed God's forgiveness or blessing. To give the tale a science fiction twist, I created an unusual dilemma for the main character, Father Wren. The question The Convert asks is: who is the real convert in this story? Why did you decide to contribute to Leaps of Faith? As soon as I heard about the call for short stories for a Christian Science Fiction anthology, I wanted to contribute. Combining Christian fiction with science fiction is a very imaginative mix. While I’ve written science fiction and also written about faith, I’ve never merged the two. I really enjoyed creating this thought-provoking story. What it is that ties all these stories together? All the stories in LEAPS OF FAITH are very entertaining with challenging themes. What more could a reader want? What do you enjoy most about writing Christian Science fiction? I enjoy the freedom of creating any number of possible scenarios using faith and science to stimulate the mind. An infinitesimal speck in the vast infinity of our universe can be explored via a story using astronomy and the glory of our Creator. Find out more about this anthology at www.leapsoffaithsf.com. 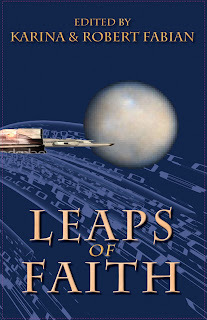 The Leaps of Faith anthology is now available at Amazon.com! Today we have the pleasure of interviewing Karina Fabian, a contributor to Leaps of Faith, an anthology of Christian Science fiction. Karina and her husband Robert also served as the book's editors. --Leap of Faith: My husband and I had come up with a universe where the solar system had been colonized and an order of nuns did search and rescue operations in outer space. We have several stories in this "Rescue Sisters" universe. Leap of Faith came to me after reading a story about a woman who had had a very traumatic experience as a child, but her mother, while comforting her, told her "Just forget about it." She did, repressing the memory completely, but later other events triggered the emotions from the experience. I decided to do the same with Sister. --Tampering with God's Time: I actually wrote this in college, wondering what God would do if people tried to tamper with Biblical events. I was glad to brush it off for this anthology. I changed a few things, but overall, the story is the same. Why did you decide to create Leaps of Faith? Rob and I had wanted to write science fiction that included the Christian religion because we don't feel that humankind will "outgrow" faith just because we leave the atmosphere, develop new tech toys or even conquer the mystery of time travel. At that time, there were very few venues for Christian SF--that has changed now, hooray!--so we were pleased when FrancisIsidore E-Press gave us a chance to compile this book. Now, we're even more pleased that The Writers' Café Press is putting it in print. What is it that ties all these stories together? Faith and science are not at loggerheads; or at least, not fighting because one is inherently superior to the other. In these stories, there is not good guy chaplain against the evil atheist scientist, nor is there the rational man of science vs. the superstitious Believer. It just makes more sense, from a worldbuilding point of view, to include faith in our characters. Also, it's fun to address moral or even relational issues from a religious angle. Further, my faith is such a part of me, that it comes out in my writing and characters, so I enjoy the freedom of being able to write openly about it without concern. If you are among the readers who like to know what a book is about and whether it is worth reading, you probably look to reviews for that information. You may also have noticed that your favorite newspaper has cut back on reviews or deleted them altogether. There are several reasons for this, but one of the foremost is economics. Books are not considered as important as music or dvds or movies for instance and the reader loses out to those other audiences. The exception is, of course, any ad taken out by a large publisher will garner a willing review by that newspaper. But remember that review is going to be favorable no matter whether the book is good or not because the paper won't want to alienate the purchaser of the ad--it's a simple matter of whether reviews are income producing or not. The attention given to music and visual artforms is often because their producers are paying for the ads. So, the reader may turn to print review magazines for reviews, but these often have the same problem as newspapers. They must have money coming in to survive and paid reviews are one way of managing this. Any print media form is expensive and likely to become more so. This leaves the Internet where reviews and reviewers are thriving and the lovely fact is most are free. It doesn't matter whether the reader goes to a review blog or a site that has a businesslike appearance for their information--they will find reviews posted aplenty. 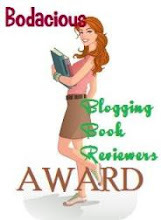 The blog review has many forms, two are the informal review by someone who just wants to share a book they truly enjoyed while the other is the more realistically named review site that usually spells out good and bad points in a book and may or may not recommend it. This is a growing trend and anyone may set up such a blog on the free sites. 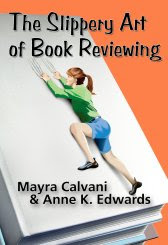 The more formally named review site offers the reader a balanced review also of the good and bad points of a book for consideration. They generally use certain guidelines and often have a staff of reviewers who read and evaluate the books or may take freelance reviews. There are new sites and blogs being set up every day and the reader will soon discover some favorites where they can turn for the information they want about any book they're interested in. Some sites are exclusive to one genre while others are open to all genres. The proliferation of review sites and reviewers speaks to the popularity of reviews with readers. If readers weren't using these sites, they would soon cease to exist as numbers of visitors and readers are what shows a site's popularity. The longevity of these sites also is proof that reviews are here to stay. It is quite likely that more readers are visiting review sites online than ever read reviews in the newspaper. 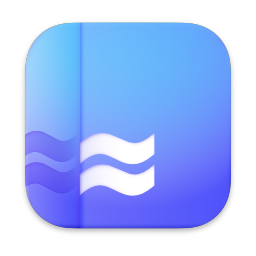 Reasons for this may be the reviews are written in less formal language that does not condescend to the reader, they can be accessed any time as always available online, and the reviews are shorter which is something a time conscious reader will consider. 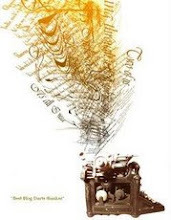 Among the premier review sites are Midwest Book Review, Armchair Interviews, In The Library Reviews, The Book Connection, and many others. One may find lists of review sites on the web and choose from them. Friends will recommend favorite review sites, booksellers like Barnes and Noble offer reviews now, online ezines specialize in reviews. In the end the reader, author, publisher and reviewer may find the Internet is having a larger impact on reviewing and book selling than newpapers ever did simply by the larger number of books reviewed. This is the place where the small press that couldn't ever get attention in the print media may now find limitless reviews of its product. With a wider offering, the reader may feast his eyes and mind on an endless array of reviews. Authors who write for large New York publishers often don’t see the cover art for their books until the cover has already been printed. I’m fortunate that my small press publisher, GASLight Publishing LLC, allowed me to have input into the cover design of Dream or Destiny. The cover designer submitted a great first draft. The body of a woman in a nightgown lay on her side on a hardwood floor, and the spine of the book looked like a blood-splattered door jamb. However, in Dream or Destiny, the victim was shot while lying on her back in bed, and there was no blood-splattered door jamb in the story. I gave the publisher several suggestions, but the cover designer couldn’t find stock photos that would work with any of my ideas. He suggested several photo Web sites, but the publisher and I couldn’t find anything that fit the story. GASLight’s publishing plan didn’t include original artwork, but we all became increasingly frustrated with the cover. Now I understood why book covers don’t always match the contents of the books. 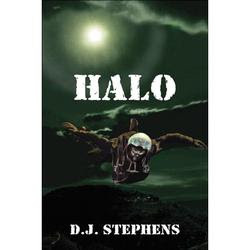 An edge of your seat military action novel awaits you in HALO by D.J. Stephens. After completing his training as an Airborne Ranger, young Jeffrey Barkil is recruited by the CIA to run secret missions in Southeast Asia between 1958 and 1961. Now a hired assassin--even though officially he and his Operations don't exist--Jeff must come to terms with his new role and fight to stay alive. With each new mission, the stakes rise and the danger increases. When asked to lead a team into Muong Nhie to capture a Chinese General, Jeff is determined that everyone will make it home! Just like D. J. Stephens's book, Death Rider--which we reviewed here--HALO is filled with action. Stephens is a master when it comes to creating an edge of your seat story. But unlike Death Rider, I never felt I knew who Jeff Barkil was and why he did what he did. There is little backstory and so few pages dedicated to Jeff's down time that I only saw him as this killing machine. I never really knew what motivated him to hook up with the CIA and be so good at his job that he garnered the name "Death Dealer". Stephens's military knowledge and experience is obvious from the outset and draws the reader into the story immediately. The reader feels the spider crawling up Jeff's legs, holds her breathe when Jeff gets ready to pull the trigger, and gets out of breath as Jeff races toward the Landing Zone. Keeping in mind that I have read very few military novels, the descriptions of what happened each time Jeff landed into his Drop Zone--or missed it--seemed a bit redundant after a while. The late introduction of Sergeant Riley, who befriends Jeff then disappears from the scene and is never heard from again is a bit annoying, but the relationship between Jeff and Kelly and the dramatic scene between them at the end is definitely the stuff good books are made of. Overall, I enjoyed HALO and would like to see Jeff back in action again. If you're looking for a book filled with military action, especially surrounding the early Vietnam War years, you'll want to read HALO. A delightful and entertaining bilingual story of friendship is waiting to be discovered in Zooprise Party by Rebekha Delgado. Mori the okapi is celebrating a birthday, but no one seems to care--not even his nozy neighbor, Lito the gerenuk. What do Lito and Elvis the king vulture know that Mori doesn't? This is a wonderful book that will be enjoyed by young people (ages 3 - 8) in many parts of the world. Told in English and Spanish, your child will learn about friendship and a variety of interesting animals. The author's love and knowledge of animals is obvious throughout the book as she assigns human traits to these zoo creatures whom your children will love and adore. Illustrator Joy Delgado did an excellent job of bringing these characters to life. Her attention to detail and the fun and lighthearted appearance of Mori and friends will be a big hit with young readers. And through most of the pages there is a wild rabbit hopping around. Though not mentioned in the book, I wondered if he/she has a story of his/her own to tell. The text is large and clear so that children who are reading on their own will have no problem understanding the words. My girls (ages 7 and 5) picked up on the fact that each main character has his own colored text in the story, so that the words "Mori" and "okapi" always appear in purple, "Lito" and "gerenuk" in green, and "Elvis" and "king vulture" in red. This allowed them to relate which animal went with which name easily. Also available is the Zooprise Party Activity Book, filled with crossword puzzles, color by number pages, search-a-words, and connect the dots, and mazes. There are also coloring pages that ask questions about the book and the back page has bookmarks for your child to cut out and share with friends. There is also a Teacher's Guide that will help educators introduce children in Grades K - 3 to a variety of topics that coincide with the book. From Language Arts to Math and Science, this guide will provide educators with many ideas to help children learn about themselves, others, and animals. Zooprise Party by Rebekha Delgado is a book that should be on every young reader's bookshelf, though I doubt it will stay there long because they'll be too busy reading it. Spotlight on Dr. Kenneth Gentry Jr.
Tim Bete Book Giveaway Winner!